Hands are parts of the body that seem to need moisturizing on a constant basis. Maybe it’s because we wash them often or perhaps it’s due to the fact that they’re exposed to the elements more than other areas on our bodies. We usually need to apply cream to our hands at least 2 or 3 times a day. 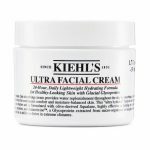 So, we went on the hunt for some vegan and cruelty-free hand creams that offered a lot of value for our dollar. We found some amazing ones. And guess what? We found vegan and cruelty-free hand creams that used organic plants as ingredients. We wanted to share our treasures with you so that you can enjoy soft and supple hands, during any time of year and through all weather conditions. 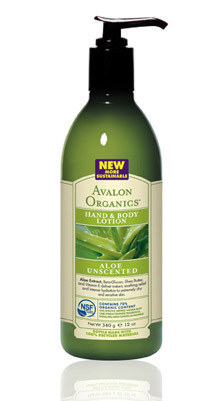 Avalon Organics Aloe Unscented Hand and Body Lotion is made to relieve dry skin and balance moisture. It’s an intense formulation of antioxidant-rich aloe vera, shea butter, calendula, and vitamin E that naturally soothes hands while repairing the skin’s delicate lipid barrier. This helps hands by enabling them to receive moisturization and nourishment. If you want a sensuous smelling hand cream that’s ultra effective in keeping hands soft, try Jurlique Hand Cream. This vegan and cruelty-free hand cream is made with organic botanicals grown on a Certified Organic and Biodynamic 153-acre farm. It offers an extremely nurturing and natural product to keep hands hydrated and feeling amazing. 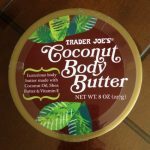 This vegan lotion is very rich, so you only have to apply a small amount to cover hands. Desert Essence offers a great line of organic and vegan hand creams that comes in a variety of scents. One of our favorites is the Pumpkin Spice Hand Repair Cream, but we also love the Tropical Coconut Hand and Body Lotion. Desert Essence vegan and cruelty-free hand creams come in tubes that easily fit into a purse or bag. They’re affordable, so we don’t feel bad about using them often. We love these three vegan and cruelty free organic hand creams because they offer a solution for challenged hands without challenging animals, or the planet. If you’ve used any of these hand creams, feel free to drop us a note in the comments below to let us know what you think. If you haven’t tried these products, you can order all of them online and have them arrive to you within a week. Then you can let us know how you like them. 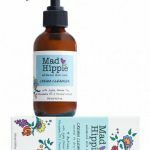 Mad Hippie Vegan Skincare Line Not Just for the Counterculture! Hands are parts of the body that seem to need moisturizing on a constant basis. Maybe it’s because we wash them often or perhaps it’s due to the fact that they’re exposed to the elements more than other areas on our bodies. We usually need to apply cream to our hands at least 2 or 3 times a day. So, we went on the hunt for some vegan and cruelty-free hand creams that offered a lot of value for our dollar. We found some amazing ones. And guess what? We found vegan and cruelty-free hand creams that used organic plants as ingredients.